Composer Dan Kinzelman and choreographer Daniele Ninarello meet for the first time on a common ground for exploration: space as a place in which to exercise and transfigure the physical and sonic body, its transience, its impermanence, the struggle to resist. Dan Kinzelman improvises live with electronics, mixing synthesis, the inner noise of machines and feedback, along with sounds generated by the instruments that he has used most often over the years: sax, clarinet, flutes, stratifying the various elements using a loop station. In composing the choreographic part, Daniele Ninarello not only explores his familiar field of instant composition, but works within a territory created by the continuous dialogue with the soundscape and the information he receives from it, to contact the invisible threads that bind body and space. The experimentation with sound and with the body thus tends to translate the perceptive elements that make the evolution of the human figure visible. Something inside the body vibrates ceaselessly like a threat: it is chaos, the inner noise of scars and thoughts. And this is true for everyone. Only dance can gradually bring these traces into the here and now. And wipe the gaze clean, find peace. Like a true physical mantra to explore in its continuity: the mute perimeter of properly unshackled thought. Since moving to Italy in 2005, American multi-instrumentalist and composer Dan Kinzelman has been making a name for himself as an important voice of the younger generation. His personal approach as a soloist has been widely requested by Italian stars like Enrico Rava, Mauro Ottolini and Giovanni Guidi, and he has performed with Uri Caine, David Binney, Maria Schneider and Ralph Alessi. He has recently made his debut on ECM Records with Enrico Rava, and this summer has been a busy one for him, with appearances at Umbria Jazz (Italy) and Saalfelden (Austria) and a prestigious residency with his band “Dan Kinzelman’s Ghost” in Correggio at the Teatro Asioli. In recent years he has come into his own as a bandleader and composer with a strong and original artistic vision, restless within the confines of a particular genre. He is preparing to release his first record with his trio, Hobby Horse, on tour in November and March of 2013, and negotiations are underway for the release of the recording of Dan Kinzelman’s Ghost in 2013. Daniele Ninarello after attending the Rotterdam Dance Academy had the opportunity to dance with several international choreographers: Bruno Listopad, Felix Ruckert, Tabea Martin, Barbara Altissimo, Meekers Uitgesprokendans, Virgilio Sieni, Sidi Larbi Cherkaoui. Since 2008, he carries forward his own choreographic research and presents his creations “Coded’uomo”, “Man Size”, “Non(leg)azioni”, “God Bless You”, at different festivals Inside/Off, D10, InsolitiFestival, Ammutinamenti, Urban Bodies,Es.Terni, Short Formats , Marcher Commun. 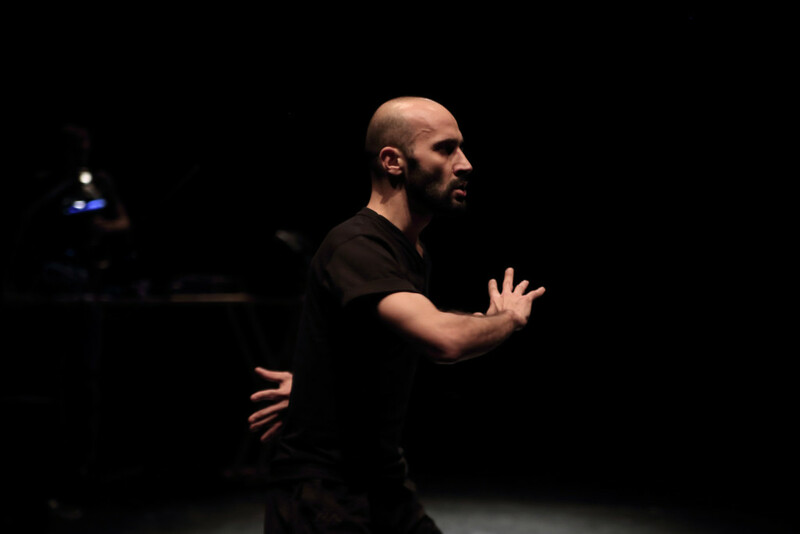 He collaborated as choreographer in Collectivo Burak “Spazi per la Danza Contemporanea 2010”, and “Man Size” was selected for the list Explò of Vetrina Anticorp XL and was presented in Festival Les Repérages. He took part in the project Transforme, under the artistic direction Myriam Gourfink at the Fondation Rouyamont, where experiments the gestural capture using the new technology, along with composer Daniel Zea. He also receives a choreographic residency for a co-creation with Gianfranco Celestino at Mosaico Danza and at the Centre Choreographique Luxemburgeoise, a co-production between Festival Interplay and Danz Festival Letzebuerg. Finalist at “Premio Equilibrio Roma 2011” with a new creation “Occhi neri capelli blu”, and selected with Man Size and Non(leg)azioni for CDC- Les Hivernales Avignon 2011 100% Danse “Quand les régions s’en mêlent…” and Correios em Movimento of Rio de Janeiro. In 2012 with the creation Bianconido he is selected for an intercontinental tour Dance Roads in Canada, France, Italy, UK and Netherland, supported by MosaicoDanza Festival Interplay. Winner of DNA Romaeuropa Festival mention at Premio Prospettiva Danza 2012. Recently he worked with Ricardo Ambròzio, dancer from Ultima Vez, for a project supported by Centro de Documentação e Pesquisa em Dança di Rio de Janeiro (BR). In 2012 is selected for the International Sharing Residency between TROIS –Cl Luxemburg, Tanz Tendenz Munich and Mosaico Danza, supported by Torinodanza, Fondazione Piemonte dal Vivo Andl Goethe Institut of Turin. 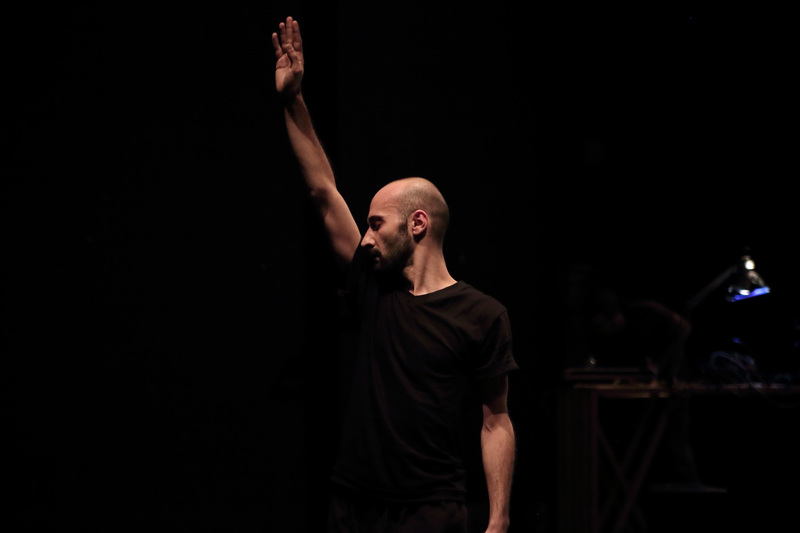 In February 2013, Daniele Ninarello is again finalist at Premio Equilibrio – Rome with “Many” and in May 2013 he presents “Vertigo” within CONFLUENZE, a project promoted by Unione Musicale of Turin and Torinodanza Festival / Fondazione del Teatro Stabile di Torino. The new production “Rock Rose WoW”, after having received the support of the project Movin ‘Up in 2012 for the second session of the international creative residency at Tanztendenz Munchen (D), is the winner of “Teatri del tempo presente,” sponsored by LIVE – Fondazione Piemonte dal Vivo and MIBAC – Italian Ministry of Heritage and Culture. In 2014 with “L.A.N.D. Where is my love ” wins the production prize COLLABORACTION that supports young choreographers, ptomoted by the network ‪‎ANTICORPI‬ XL and coordinated by Mosaico Danza.